Li-Rack is a medium-sized lithium ion battery system made in India for multi-family houses, commercial applications, and projects with demanding storage needs. Li-Rack lithium ion battery made in India is based on the active cell balancing technology for best performance and life expectancy, and remote monitoring via internet. The Li-Rack system is an ideal made in India model of the lithium ion batteries that we should use today. It is a green solution and will help us reduce our carbon footprint on mother Earth. It is internet ready storage systems and first of its kind. The chemical composition is intrinsically safe in their chemistry, that is to say, they can neither burn nor explode. The life expectancy of Li-rack, made in India lithium ion battery is 20years which is very high as compared to the other systems present in the market. Li-rack lithium ion battery made in India can be installed everywhere that is in rural areas, Hotels, Hospitals, industries, electric vehicles, and last but not the least in our homes. The range we offer is from 3.5KWh to 55.0KWh, although multiple batteries can be combined for large scale requirements. It is absolutely maintenance free. Even without subsidies for own-use or grid feed-in tariffs, Li-Rack lithium ion batteries made in India are a safe investment into your energy independence. The amortization (ROI) is much better than on a standard PV system making the Li-Rack made in India lithium ion battery systems economically attractive. Li-Rack Eco has it applications in commercial as well as domestic purpose. Li-Rack Eco is based on the active cell balancing technology for best performance and life expectancy. It is a green solution and will help us reduce our carbon footprint on mother Earth. It has internet ready storage systems, which allows user to monitor it remotely. The chemical composition is intrinsically safe in their chemistry, that is to say, they can neither burn nor explode. The life expectancy of Li-Rack Eco is 10years* which is very high as compared to the other conventional batteries present in the market. Li-Rack Eco can be installed everywhere that is in Rural Areas, Hotels, Hospitals, Industries, and last but not the least in our homes. The range we offer is from 3.5kWh to 55.0kWh, although multiple batteries can be combined for large scale requirements. It is absolutely maintenance free. Even without subsidies for own-use or grid feed-in tariffs, Li-Rack Eco batteries are a safe investment into your energy independence. 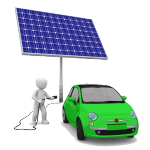 Li-V is Specially designed lithium battery for vehicles(Electric Vehicles). Now a days demand for fossil fuel is high and in future it will be much higher, But since they are totally dependent on nonrenewable energy sources, Their end is fixed, To stop/reduce this a step should be taken, otherwise it would be too late, And A STEP IS HERE AT VISION MECHATRONICS. We have introduced a special lithium battery for Electric vehicles to reduce pollution as well as reduce burden on the eco system by green house gas emission.Li-V lithium battery for vehicles is based on the active cell balancing technology for best performance and life expectancy, and remote monitoring via internet. The life expectancy of Li-V lithium battery for vehicles is 13.5 years* which is very high as compared to the other systems present in the market. We offer 60 Ah /48 V battery. It is absolutely maintenance free. It has internet ready systems, allows user to monitor it remotely. The chemical composition is intrinsically safe in their chemistry, that is to say, they can neither burn nor explode. Li-V lithium batteries for vehicles are a good substitute for diesel/petrol or gasoline and A step towards supporting Eco Friendly energy, to make Clean & Green India. Joulie is a small-sized battery system for electricity needs, But can be extended on demand of electricity by adding extra batteries to it. It has it applications in commercial as well as domestic purpose. Joulie is based on the active cell balancing technology for best performance and life expectancy, and remote monitoring via internet. It is a green solution and will help us reduce our carbon footprint on mother Earth. It has internet ready storage systems, Which allows user to monitor it remotely. The chemical composition is intrinsically safe in their chemistry, that is to say, they can neither burn nor explode. The life expectancy of Joulie is 20years which is very high as compared to the other systems present in the market. Joulie can be installed everywhere that is in rural areas, Hospitals, industries, and last but not the least in our homes. The range we offer is from 840 Wh to 14 kWh joulie batteries, although multiple batteries can be combined for large scale requirements. It is absolutely maintenance free. Even without subsidies for own-use or grid feed-in tariffs, Joulie batteries are a safe investment into your energy independence. Joulie+ has it applications in commercial as well as domestic purpose. Since it provides containerized solution for electricity needs, it is useful for the places where electricity supply through grid is not possible or not reached yet. Joulie+ is based on the active cell balancing technology for best performance and life expectancy, and remote monitoring via internet. It is a green solution and will help us reduce our carbon footprint on mother Earth. It has internet ready storage systems, Which allows user to monitor it remotely. The chemical composition is intrinsically safe in their chemistry, that is to say, they can neither burn nor explode. The life expectancy of Joulie+ is 20years which is very high as compared to the other systems present in the market. Joulie+ can be installed everywhere that is in rural areas, Hospitals, industries. We offer 1MWh to 90MWh Joulie+ batteries, although multiple batteries can be combined for large scale requirements. It is absolutely maintenance free. Even without subsidies for own-use or grid feed-in tariffs, Joulie+ batteries are a safe investment into your energy independence. OneBox is a Lithium based battery sysem made in India, it has applications in commercial as well as domestic purpose. One/box is based on active cell balancing technology for best performance and life expectancy, and remote monitoring via Ethernet. It is an integrated system to give you completely uninterrupted power and zero blackout. It is a flicker free system Which keeps your device safe during power spikes. The life expectancy of ObeBox is 10 years which is very high as compared to the other systems present in the market. OneBox systems can be installed everywhere that is in rural areas, Hotels, Hospitals, offices, industries and last but not the least, in our homes. We offer 3 models of OneBox which are OneBox Lite, OneBox and OneBox premium. It is absolutely maintenance free and can be installed easily (D-I-Y Solution) Even without subsidies for own-use or grid feed-in tariffs, OneBox is a safe investment into your energy independence. CelPak is the perfect companion for E-Rickshaws. With german collaboration we are able to offer a Lithium CelPack Which requires absolutely zero maintainance Its long life and high power density offer total value for money. The CelPak is approximately 50% more efficient resulting into better milage and higher profits per ride. Fast chargin enables maximized drive time throughout the day. It's economical, pocket friendly and optimally suited for your E-Rickshaws. Li-Rack is a medium-sized lithium ion battery system made in India for multi-family houses, commercial applications, and projects with demanding storage needs. by adding extra batteries to it. as well as domestic purpose. JouLIe is a small-sized battery system for electricity needs, But can be extended on demand of electricity by adding extra batteries to it. It has it applications in commercial as well as domestic purpose. OneBox is a Lithium based battery sysem made in India, it has applications in commercial as well as domestic purpose. We have extensive range of Lithium Batteries in India, suitable for your energy needs. 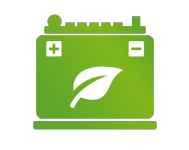 At LithiumBatteryWale, you can Choose from our seven smart batteries and their variety of ranges available. Enter in the world of smart energy. 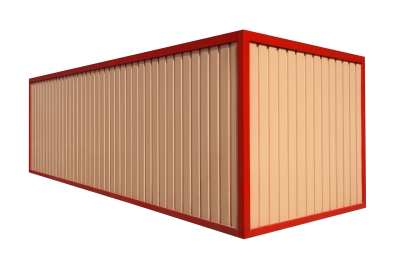 Li-Rack Eco is based on the active cell balancing technology for best performance and life expectancy. It is a green solution and will help us reduce our carbon footprint on mother Earth. Li-V is Specially designed lithium battery for vehicles(Electric Vehicles) to reduce pollution as well as reduce burden on the eco system by green house gas emission. JouLIe is a small-sized battery system for electricity needs, But can be extended on demand of electricity by adding extra batteries to it. It is absolutely maintenance free. OneBox is an integrated system to give you completely uninterrupted power and zero blackout. It is a flicker free system Which keeps your device safe during power spikes. 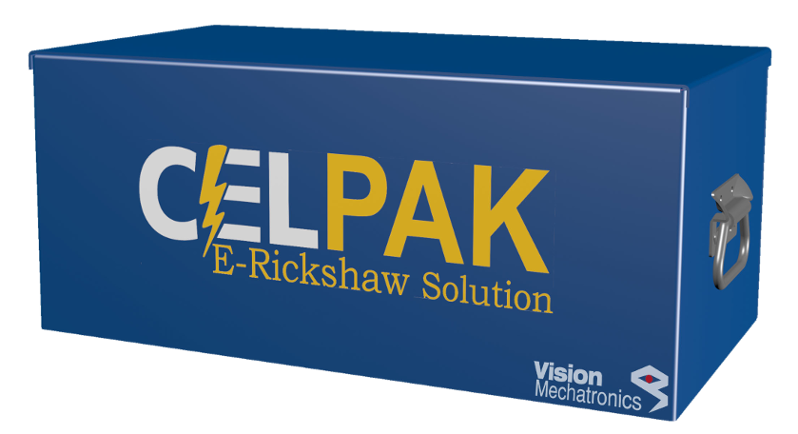 CelPak is the perfect companion for E-Rickshaws. With german collaboration we are able to offer a Lithium CelPack Which requires absolutely zero maintainance Its long life and high power density offer total value for money. We can develop customized storage systems for you based on Our Lithium Batteries with active balancer and integrated safety technology. Our Success Is Vested In Our Client's Success. Our goal is to make our clients feel pampered beyond expectations. They drive everything we do. We work in partnership with our client; they can rely on us to spring into action with spot-on solutions at moments critical to the company's development. Our modest size enables our specialists to work closely together to develop tailor-made solutions that meet your evolving needs.We are proud of, the relationships we have with our customers, and we work had to do them right. We try and make it a point that are clients don't just like us - but that they love us and are willing to promote us to friends, colleagues, and partners. So to all of our customers thanks!